The entrance to Ggantija Temple. 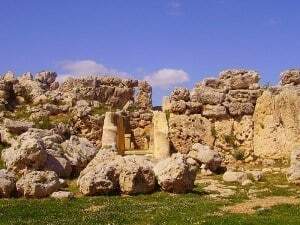 Of the thirty or so temples on the islands of Gozo and Malta, the temple complex at Gganjita could be said to be the most important for a number of reasons. The complex is made up of two temples side by side, both surrounded by a single boundary wall. 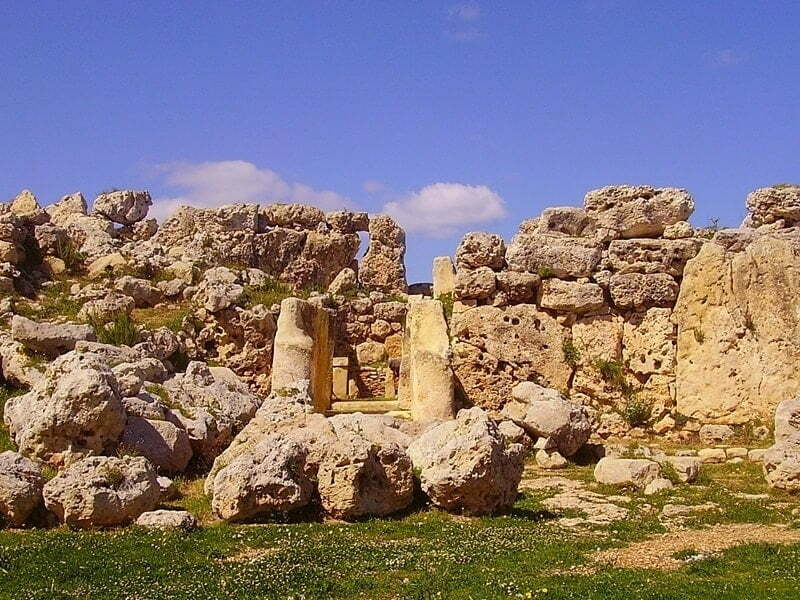 These are the best preserved of all the Maltese temples. Despite being exceptionally well preserved, the older of the two temples here is the oldest of all the megalithic temples. The temples were built between 5,600 and 5,200 years ago. Until recently, Ggantija was thought to be the oldest free-standing archaeological monument in the World, being older than such sites as Stonehenge and the Egyptian pyramids. The Turkish site of Göbekli Tepe is now thought to pre-date the Ggantija Temples. 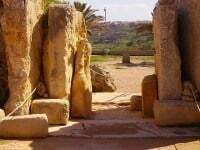 Given the size of these stones, it is not surprisingly perhaps that the site’s name derives from the Maltese word for giant, ggant. Here you will find the largest stones used in any of the temples, some estimated to weight in excess of 50 tons. 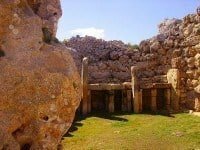 Where are the Ggantija Temples? The temples comprise a number of apses that lead off a central corridor. A number of features suggest that these structures were were focal points for ritual activities. Animal bones at Ggantija indicate that these rituals almost certainly involved animals. Within the apses are stone hearths as well as circular holes in the floor, which have been interpreted as libation holes. The larger and older of the two temples still has some decorated stones, but these have weathered and are difficult to see. A new interpretative centre at the site has recently opened. 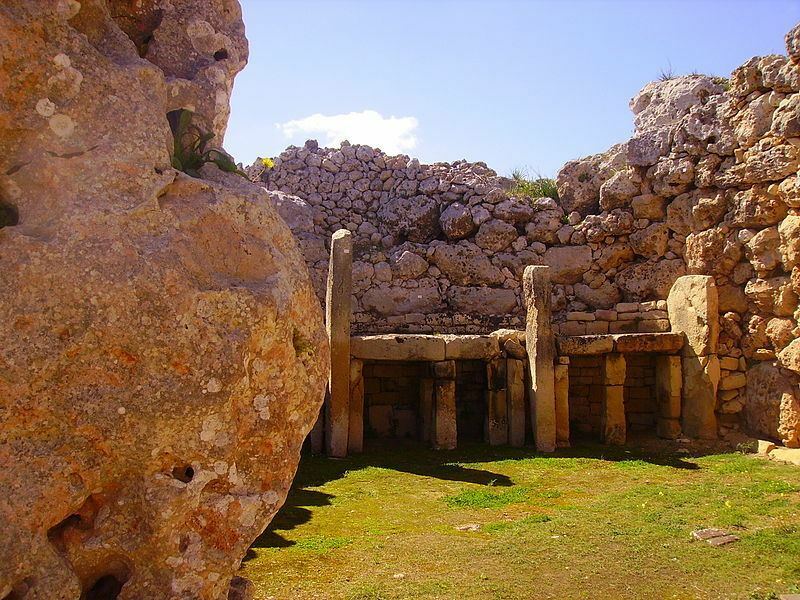 Here you will find displays of Neolithic life on the islands, as well as the most extensive collection of prehistoric artefacts found on the island of Gozo. 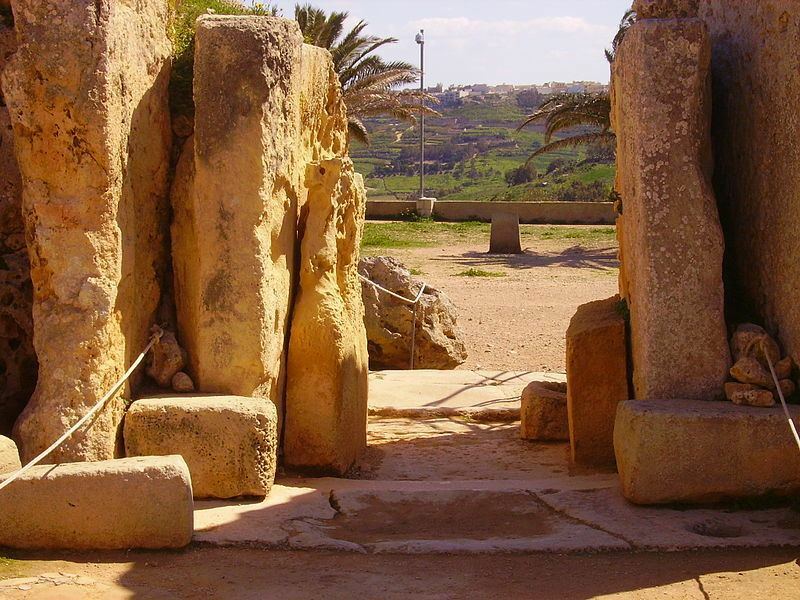 There are also artefacts from Ggantija in the nearby Gozo Archaeological Museum. And the decorated stones can be seen in the archaeological museum in Valetta. The view out of Ggantija Temple.